Alaskans spend over $200 billion dollar per year on food, but less than 5 percent of the food we eat is produced in Alaska. If we build a stronger food system, we improve the health of our citizens and the health of our economy says Danny Consenstein from USDA’s Alaska Farm Service Agency. His talk on “How To Strengthen Alaska’s Local Food Systems,” was recorded at the Alaska Botanical Garden, 5th Annual Spring Garden Conference on March 9th. 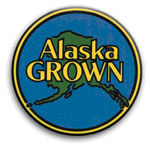 There will be 3 more talks from the ABG 5th Annual Garden Conference featured on Addressing Alaskans this month. Listen Thursdays at 2:00 pm and 7:00 pm for Danny Consenstein on April 7, Jeff Lowenfels on April 14, and Verna Pratt and Julie Riley on April 21. BROADCAST ON KSKA: Thursday April 7, 2011 at 2:00 p.m., repeats Thursday at 7:00 p.m.